c/o Tamir Khalifa, The New York Times. Homer had “The Iliad” and “The Odyssey,” while Future apparently has FUTURE and HNDRXX, doing his part to make Atlanta the Athens of hip hop and rap. Before the classicists among you hurl your Grecian urns at the screen—or, by some lovely chance, the print edition—consider how artists have worked from the Homeric epic since antiquity. While one cannot pick up Future’s oeuvre like a copy of John Milton’s “Paradise Lost” or Dante’s “Divine Comedy,” the hip hop iconoclast’s verses can still constitute a form of epic poetry. Weighing in at 17 tracks each, Future very well could have drawn the lines differently and released four albums by today’s standards. Either way, releasing 34 tracks in less than two weeks is a feat of prolific production that only Future can lay claim to as his calling card in the streaming era. With services like Spotify, Apple Music, and SoundCloud counting the number of times a song is played rather than album sales, a strong economic incentive has developed for artists like Future to burst onto the scene, producing as much music as humanly possible. Each streaming platform sets a threshold for a number of streams that amount to the same market value as an album, urging musicians to produce as many tracks as possible without paying as much attention to the structure of an album or EP, the line between which has now been blurred in the streaming era. Yet Future pays very close attention not only to album structure, but to double release arrangement of FUTURE alongside HNDRXX, the former—ostensibly—about his public persona, and the latter delving into a more introspective intimacy. Besides marking a further break from the hip hop establishment—with which Future maintains a tenuous relationship that keeps him on the margins of major award ceremonies—he has become the first artist to replace a number one record with another one of his own in Billboard history. As New York Times music critic Jon Caramanica pointed out on the NYT Popcast, the two albums initially appear to be markedly autonomous and almost parallel, but upon further listening, they actually weave leitmotifs into one another, returning to various hooks and production sounds developed in one or the other, giving the double release a more complete and complementary aesthetic than is initially visible. This latent continuity is perhaps the very reason Future may be able to make history on the Billboard charts. The album artwork is the first clue into the divergent focuses of FUTURE and HNDRXX. The former features a gold impressionistic sketch of the rapper’s face, while the latter employs grey and silver tones to outline his body, omitting his visage. 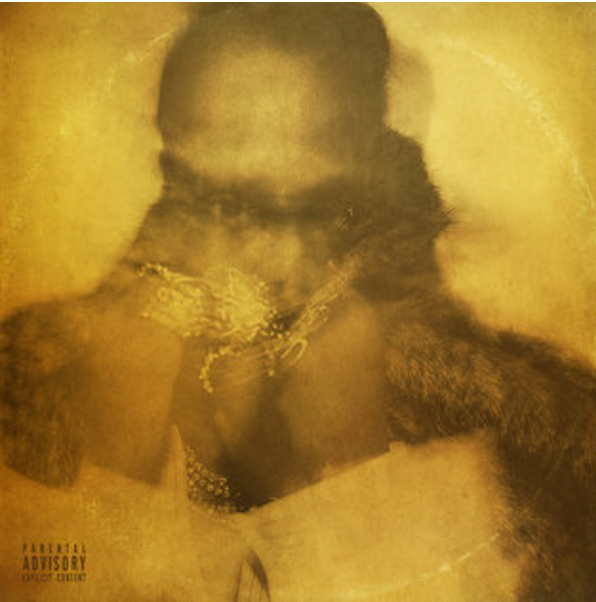 In his typical auto-tuned vocal style that blurs the line between singing and rapping—which most closely resembles a stoned robot gargling cough syrup—Future laments the nuisances of fame and success in FUTURE, juxtaposing his current problems with his old ones using simple allusions like the debut track title, “Rent Money.” After a hook detailing grievances of fame and money no longer being a problem, all cleverly ending in a “ü” sounding rhyme (issues, you, too, shoes, due), Future shifts his gaze outside of his figurative sports car’s tinted windows to the inequality surrounding him and his fame. His progression towards a self-awareness that has eluded him so far in his career surfaces fully in “Mask Off,” coming a few tracks after a not-so-subtle jab at his ascending vocal doppelgänger, Desiigner, in “Zoom.” In “Mask Off,” which is currently the best performing song from either album in terms of streams on Spotify, Future addresses his public persona—his mask—that he puts on with narcotics in order to avoid being emotionally attached to people looking to exploit him for his fame. While the track, like most Future songs, boasts exorbitant doses of sexism, his awareness of how he detaches from his authentic self in his music and public persona comes as a breath of fresh air for the faithful fans who have waited for the ATL prodigy to grow up. 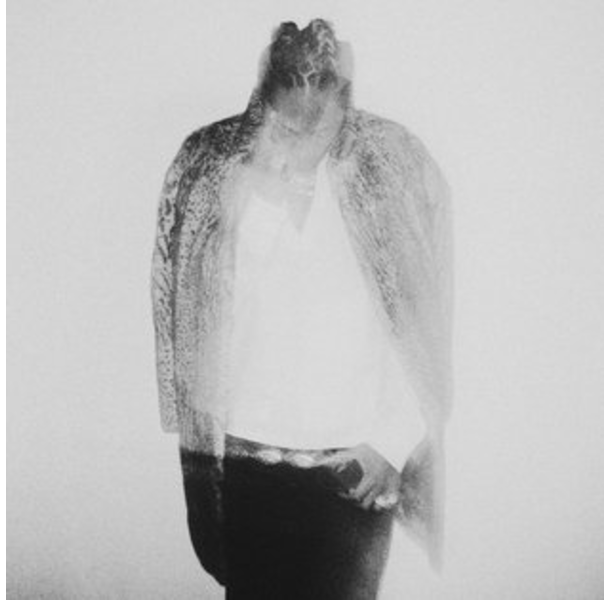 The self-awareness that percolated in FUTURE boils over in HNDRXX, where many of the songs are intimate and almost shockingly personal given Future’s musical persona. Much of his inner angst centers on his lost lover, Ciara, whose explosive and very public split with the rapper limited his relationship with their child, Future Jr. In “Turn on Me,” Future laments the relationship’s demise and chastises himself for it. “I’m the one put all the rings on you / I’m the one took all the blame for it / I had to look at this lame happy / Try to figure out again why I ain’t happy,” Future raps. 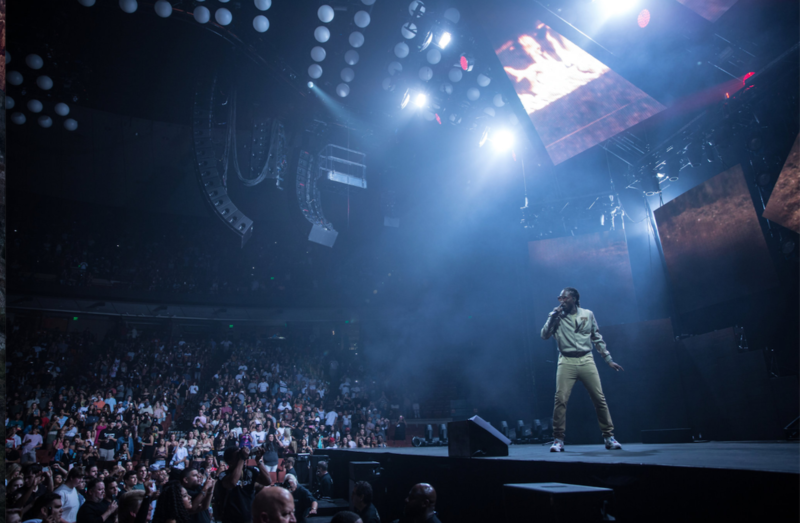 The album ends with “Sorry,” where Future swings far more toward singing than usual, suggesting that a full departure from his previously opaque persona also involves a departure from rap. À la Eminem in Recovery, Future lets it all hang it out with reduced background production, rendering himself intentionally and obviously vulnerable. He claims he never really meant to hurt his lover, and that the conditions of his career are partially responsible for his poor behavior. It’s nothing new in music nor rap, but this kind of vulnerability is a milieu that Future has just dipped his toes into. The real question going forward is whether Future can move on to subjects beyond the unintended consequences of his fame and his unrequited love for Ciara, leaving Future Jr. in the balance. Persistent and prolific in his work ethic, there will almost certainly be scores of new music to come from Future. The question is whether he can make his way to the acropolis of the hip hop greats, or whether he will continue bellowing from the cheap seats of the Dionysian theater. This article has been updated to indicate that Future succeeded himself in back-to-back number one albums on the Billboard Top 100. A very generic album review, almost mimicking an Anthony Fantano video…unoriginal and writing by an amateur to the music industry!